This week Funko reveled a brand new product that will soon be added to their "Deluxe" Pop! figure line. While the standard Pop! figures only feature a character, the deluxe Pops are considerably bigger and usually include a vehicle. 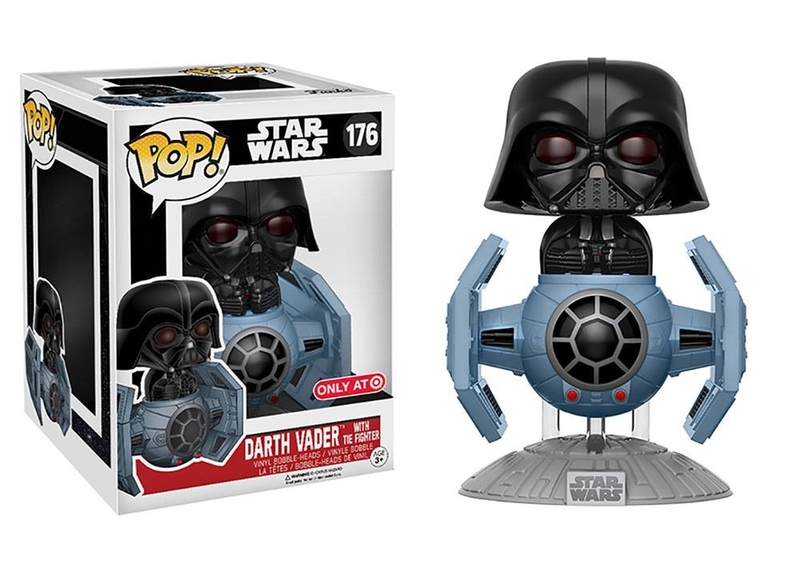 This newest collectible is no different, as it features a certain Dark Lord of the Sith in his iconic spacecraft. This new Target exclusive Pop! Deluxe! is Darth Vader in his legendary TIE Advanced x1 Starfighter, as seen in Episode IV: A New Hope. The figure sits atop a Death Star inspired display base. Look for it in Target stores in mid-June!